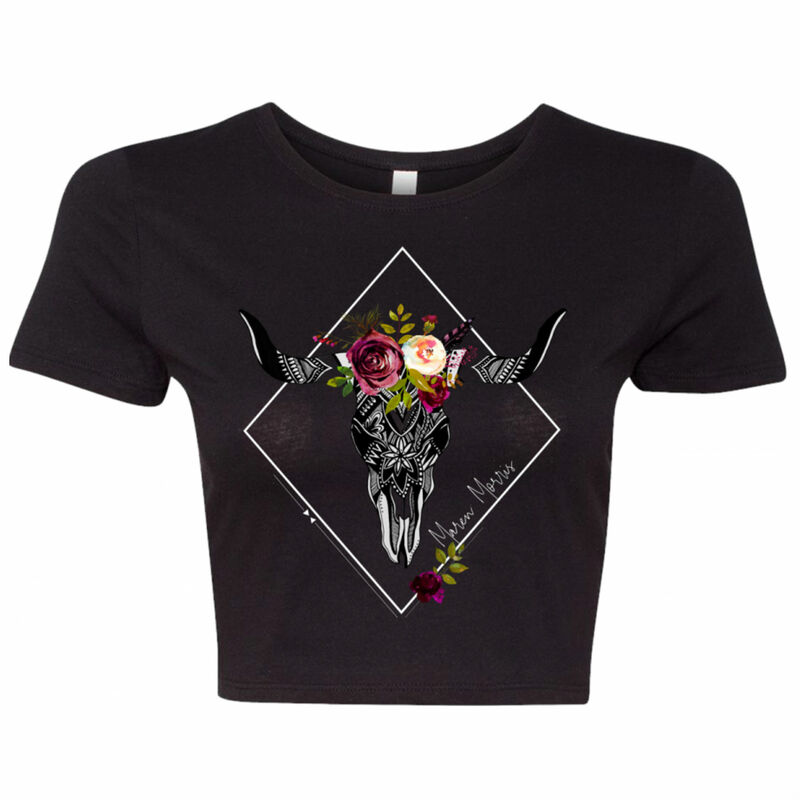 Cotton Poly blend crop top. I love the design of this shirt. I thought the crop would be really cute bur ended up being way too short. Shorter than I thought it would. The small fits but I should have purchased the medium/large instead. I will be giving this one away to a friend.